2 What Material Is A Good Patch Made Of? 3 What Cleaning Tool Are You Using? It doesn’t matter if you have the best cleaning kit in the world with all the fancy tools and equipment, if you don’t have a good assortment of cleaning patches then you won’t be doing the bore of your firearm any good. While there are a few workarounds that will allow you to get your gun clean without the use of patches, there isn’t a single product out there that is as versatile and effective as a good old cotton cleaning patch. They scrub your barrel, apply the solvent, soak up the dissolved fouling, and apply a final coat of oil. At first glance, a cleaning patch doesn’t look very complex, but there is far more to it than what meets the eye. If you want to learn more about how to select the best cleaning patches for you, then keep reading! If you’ve ever had a bad experience with cleaning patches, odds are you probably used the paper thin, see-through patches that were included in your cheap cleaning kit. Not only are these “patches” terrible for absorbing fouling, they also rip and break apart incredibly easily, and are horrendous for applying solvent or oil. If you’re cleaning kit includes any of these patches, your best bet is to just throw them away, because they are totally useless. A good cleaning patch will be the right size for your barrel, thick, absorbent, and sturdy. Basically, the exact opposite of the cheap patches included in your kit. What Material Is A Good Patch Made Of? While there are several different materials available when it comes to cleaning patches, one specific one dominates the market: cotton. Cotton patches are usually thick, absorbent, and sturdy, which is everything you want in a patch. There are also some patches out there made from other materials, such as flannel or wool. These are also decent patches and can be pretty effective, but they are nowhere near as good as cotton. Wool patches can have a tendency to snag and leave lint and material behind, which is annoying and takes even more time to fix. You may also find patches made out of synthetic material that is nowhere near as absorbent or sturdy as cotton. While all of these will certainly work as gun cleaning patches if you want the best of the best you will want to go with cotton. What Cleaning Tool Are You Using? Believe it or not, the tool you use to clean your bore has a pretty big impact on your patch selection. There are 2 main types of attachments for cleaning bores with patches, and they are cleaning jags and slotted tips. Many cheaper gun cleaning kits will opt to include one or 2 slotted tips, as they are much more universal and can be used for multiple calibers. A higher end gun cleaning kit will include a set of brass or plastic jags. These are caliber specific, and generally a bit easier to use than the slotted tips. It’s up to you to find out which tip works best for you, but I am very partial to my nice set of brass cleaning jags. They are sturdy, effective, and don’t require threading a patch through a tiny hole every time. If you already enjoy using your nice set of cleaning jags, then good news! It is much easier to use cheaper patches with a cleaning jag. Since all you have to do is place the patch over the correctly sized jag and run it through the barrel, the size and shape of the patch don’t make that much difference. As long as you have a good quality material that is large enough to cover the whole jag, you are fine. Simply place a piece of cloth over the top of your jag and run it through! Since jags are so much more versatile, it also makes it easy to make your own patches out of old clothing or scrap cloth, which can save you even more money! Slotted tips are much more versatile and cheap to manufacture when it comes to gun cleaning supplies, but that comes at a cost. Slotted tips are much more tedious to use, and require more expensive patches that need to be closely sized to the correct caliber of firearm. Generally speaking, you will need a slightly thinner patch that is round in shape. You will also need to either purchase pre-slit patches or know where to cut your own slits. 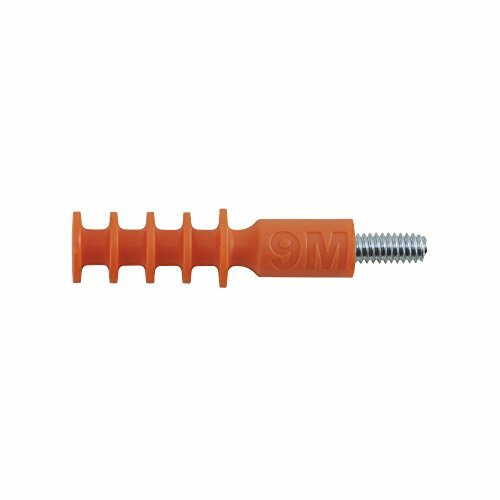 In order to use a slotted tip, the attachment is slid through a slit in the patch, and the remainder of the patch is folded up and stuffed back through the slotted tip. This creates a cone shape that is then drug through the barrel. This not only requires more expensive patches but is also far more tedious and time-consuming. The final component to consider when you are selecting your cleaning patches is the absorbency. The reason for this is two-fold: fouling removal and solvent/oil application. This is because those are the 2 main jobs for a patch. If the patch is not able to absorb anything, it is going to leave a lot of crud in your barrel, which is going to require the use of more patches. It also will not do a good job of depositing a thin coat of oil after your barrel has been cleaned. This can lead to rust and pitting in your barrel, which is not only dangerous but robs you of accuracy by destroying your rifling. If you clean a wide variety of bore sizes and don’t want to purchase individual bags of patches for each bore size, then the Outers patches may be a good option for you. They advertise this as “cut to size” patches, but in reality, it is basically just a bag of random sizes and shapes of cotton pieces. I actually like this, however, as some of the larger pieces make for good rags or reaching into places to wipe away fouling with your finger. These are pretty sturdy cotton patches that are the perfect balance of not to thick and not to thin that makes them excellent for use in cleaning your guns. While these are not specifically designed for use with a slotted tip, they can be cut to size relatively easily. I have found that they work much better with my cleaning jags, but either way there will be a bit of work required to get them to size. 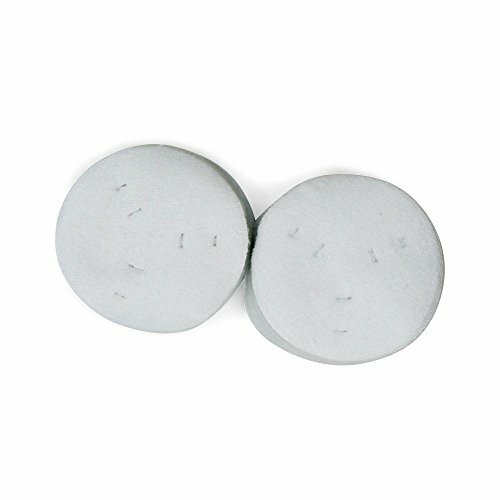 If you have a wide variety of bore sizes that you need to clean and want to purchase a single bag of cleaning patches that will do it all, then this may be the product for you. If your collection consists primarily of small bore shotguns and pistols, then these Hoppe patches may be a good set of patches for you to consider. The pre-cut patches are square in shape, so they work perfectly with a good cleaning jag. They are effective on everything from a handgun as small as a .380 acp, clear up to a 20 gauge shotgun, and everything in between. Unfortunately, these are not quite big enough to clean a 12 gauge, but you might be able to make it work. Additionally, if you want to use these to clean most rifles, you are going to have to cut them down a bit. All things considered, this is a great cleaning patch that has just about everything you could ask for. As long as the guns you are cleaning are not too small or too large, this is an excellent bag of patches to purchase. 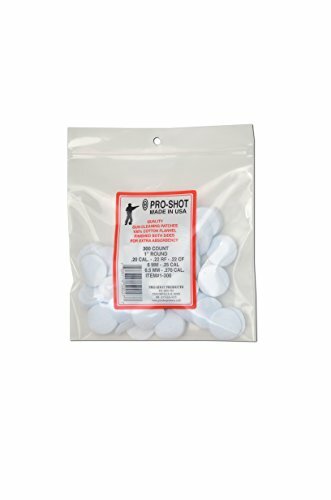 If you don’t mind buying a wide variety of patches and want one of the best, most absorbent 100% cotton patches available, then these cotton patches from Pro-Shot may be a good bet. These patches have a size and a quantity to fit almost every need, ranging in size from ¾” to 3”, and coming in packages as small as 50 and as large as 1,000. 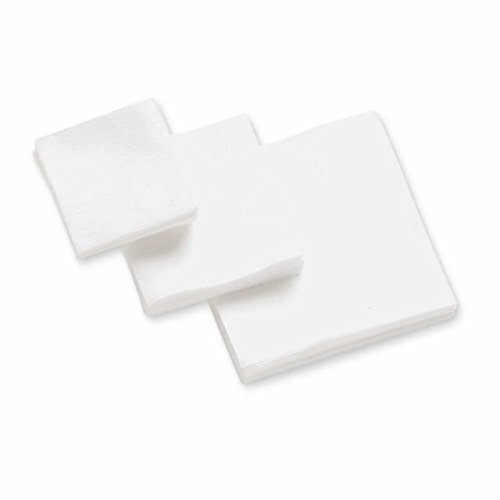 These pre-cut square patches are perfect for use with a cleaning jag, but the thickness may give you a few troubles when using a slotted tip (although it’s still possible). The best part about these patches is that they come in a variety of sizes. I would suggest picking up a few different sizes to ensure that you are capable of cleaning all of your firearms. For general reference, the 3-inch patch will be good for 10 and 12 gauge shotguns, the 2-inch patch will be good for small shotguns and handguns, and the patches in the 1-inch range will be ideal for small caliber rifles. Overall, if you are looking for a good assortment of patches to use with your cleaning jags, this is a great product to consider. If you are dead set on using your slotted tips, or simply want a much more universal cleaning patch, then this all-caliber cleaning patch from Otis is a good one to look at. Otis is a pretty big, high-quality name in the gun maintenance department, and this product certainly holds up to the name. These patches have 6 different slots to insert your slotted tip through to ensure that you always get the perfect size patch for your bore, no matter what firearm you are cleaning. Additionally, the strong, absorbent, 100% cotton patch can be adjusted and reused up to 6 times! That will really stretch out your usage and help decrease the pile of patches at the end of your cleaning session. This product is not without its downsides, however. For starters, this is not a truly “all caliber” cleaning patch. The smallest caliber this is suitable for cleaning is .25. This means that any rimfire rifle or handgun, and even your AR-15 will require a smaller patch. If you are looking for a patch that will also clean your small caliber rifles, this is certainly not it. These patches will also only work well with a slotted tip. You may be able to get them to work with a cleaning jag, but it will be far from an ideal scenario. All things considered, if you insist on using a slotted tip to clean your firearms, this will be the best patch you can get. If you have read any of my other articles on gun cleaning, you have no doubt discovered that I am a huge fan of the Squeeg-E from Remington. Really, guys, this is a fantastic product, and I feel like it belongs on this list. These caliber-specific, soft silicone squeegees do an incredible job of wiping away every last drop of fouling from your bore. There is no need to worry about durability or absorbency with these, as the walls of your bore are wiped clean and all of the junk and fouling is simply pushed out of the end of your barrel. No mess, no lint left in your bore, and best of all, no massive pile of dirty patches at the end of every cleaning session. The only downside to this product is that it simply can’t 100% replace your cleaning patches. You will still need a way to coat the inside of your bore with solvent, and protect it with oil when you are done. These are 2 things that the Squeeg-E can’t do. So yes, you will still need a few cleaning patches, even if you do purchase this product. But your need for patches will be greatly reduced. The one listed here is in 9mm, but they come in almost every caliber available today as well. If you really want to take care of your firearms, you are going to have to have a way to get your bore clean of fouling and oiled to prevent rust. If you try to use those cheap patches that came with your cleaning kit, you are going to be nothing but frustrated and angry. The best thing to do is to purchase your own set of good, cotton cleaning patches right away. If you want the best cleaning patch for your firearms, you are going to need one that can effectively remove all the gunk from your barrel, as well as apply solvent and oil. In this case, I have to give my final recommendation to 2 products. I have yet to find a product that is as unparalleled in barrel cleaning as the Squeeg-E from Remington, and I give it my highest recommendation. But since it is incapable of applying oil and solvent to the barrel, I also have to recommend the bagged bulk patches from Outers. These are high-quality, 100% cotton patches that will pair very well with your Remington Squeeg-E. With these 2 products, your bore cleaning regimen will be top notch. Now that you have all the information that you need, you can go out and purchase the best cleaning patches for you today!